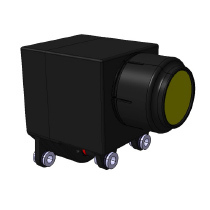 The IRC-32 camera is light, compact and robust. Thermographic videos can be recorded with a resolution of 160 x 120 pixel and frame rates of up to 120 Hz. Various lense types adapt the field of view to various installation conditions.